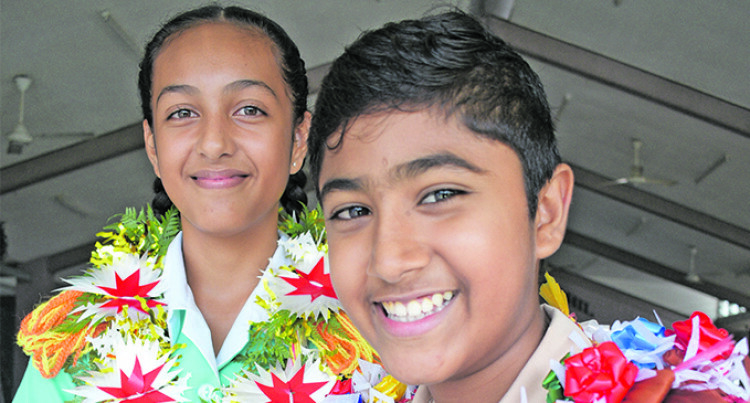 From left: Nehru Memorial Primary School head girl Maxine Antonio with head boy Bazalel Singh on February 8, 2019. Becoming head boy of Nehru Primary School was Bezalel Singh’s dream from day one. The 13-year-old said he was always keen on becoming the head boy and hopes to live up to his teachers’ expectations. The school welcomed it’s student body during the prefects induction ceremony yesterday. Bezalel lives in Toorak, Suva, and aspires to study medicine in the future. “I am happy that my teachers had faith me and I would also like to thank my parents for giving me the confidence to take up this challenge,” he said. Maxine Antonio has been the class captain for a number of years before earning her place as head girl. The teenager from Itumata, Rotuma, said her journey had been a challenging one. “It was difficult at times, but I believe in hard work and that kept me going,” she said.